The longlists for the Writivism Short Story Prize 2019 and the Koffi Addo Creative Nonfiction Prize 2019 have been announced on March 25, 2019. Writivism, the project of writing as activism, that works to build the capacity for writing on the continent was started in Kampala, Uganda in 2012. The initiative includes the Writivism Short Story Prize and the Koffi Addo Creative Nonfiction Prize that have become a good gauge of the writing coming out of the continent. The Writivism Short Story Prize is the older of the two prizes showcasing some of the best fiction writing since 2013. Previous winners have been Mbogo Ireri (2018), Munachim Amah (2017), Acan Innocent (2016), Pemi Aguda (2015), Saaleha Idrees Bamjee (2014), and Anthea Paelo (2013). 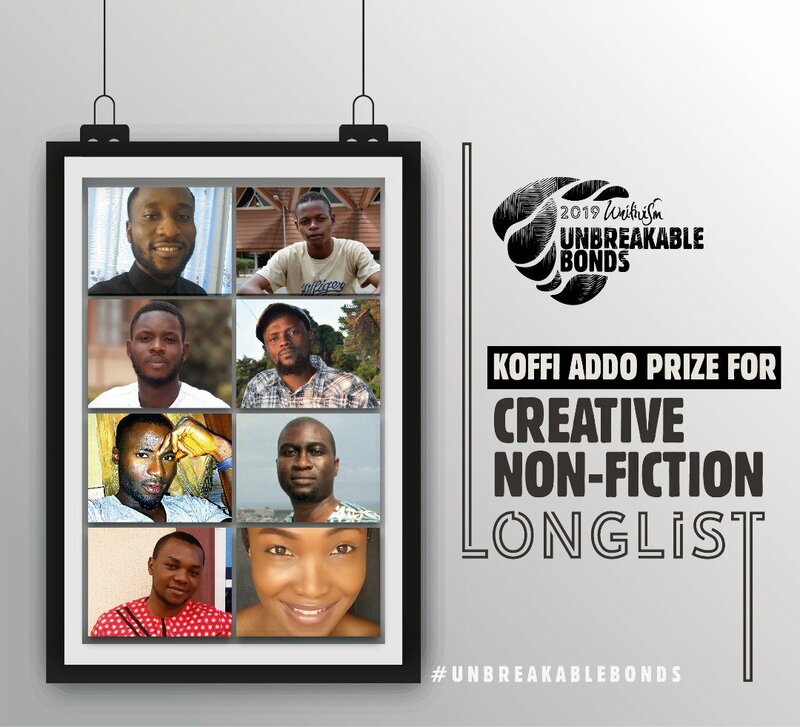 The Koffi Addo Creative Nonfiction Prize, administrated by the Writivism Literary Initiative and named after Ghanaian national Nana Koffi Addo, focuses on nonfiction. It has been won by Ghanaian S.Y Tetteh (2016), South African Charles King(2017), and Zambian Chisanga Mukuka (2018). The shortlist for the two prizes will be announced in due course before the winner is announced at the Writivism Festival 2019 which happens in Kampala, Uganda from August 15-17. Previous Previous post: Shadreck Chikoti, Abu Sense kick off Artistic Encounters 2019. Next Next post: Nigerian poet and novelist Gabriel Okara has passed on.